Three causes of modern female lung cancer are passive smoking, ultrafine particles and radon. 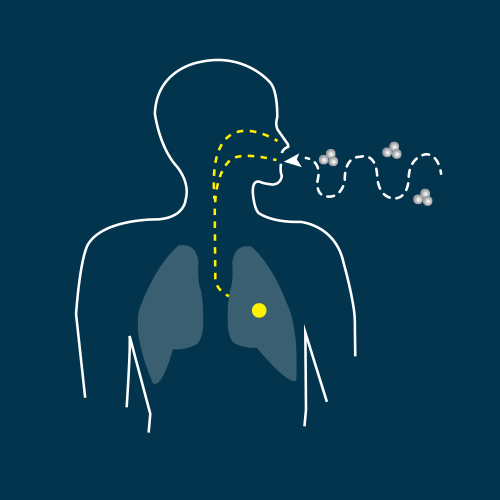 When radon gas enters the lung through breathing, alpha particles released from radon damage the lung cells. Since once destroyed lung cells are not regenerated, prolonged exposure to high concentration of radon gas will increase the likelihood of lung cancer. Therefore, the United States Environmental Protection Agency(EPA) designated Radon as a must be managed hazardous gas for healthy life. Radon, a gas originating from radium which is generated by the collapse of uranium in soil, is everywhere on earth. It penetrates indoors mainly from the ground or building materials. The gases that cause sick house syndrome and other noxious gases luckily smell. Urban gas and LPG were deliberately smelled. However, radon does not smell nor can be seen. And no matter how many years have passed, it is constantly released from the wall, ceiling and floor.